Pupils in England, Wales and Northern Ireland receive their A-level results today and they appear to have fallen slightly this year. The Joint Council for Qualifications, issuing the results, said there has been a slight fall in A* and A grades and the overall pass rate is down for the first time in over 30 years. The percentage gaining the very highest A* grade has risen from 7.6% to 8.2%. 8.5% of boys' grades were A*, with girls' grades at 7.9%. A-Level results this year are "broadly stable". 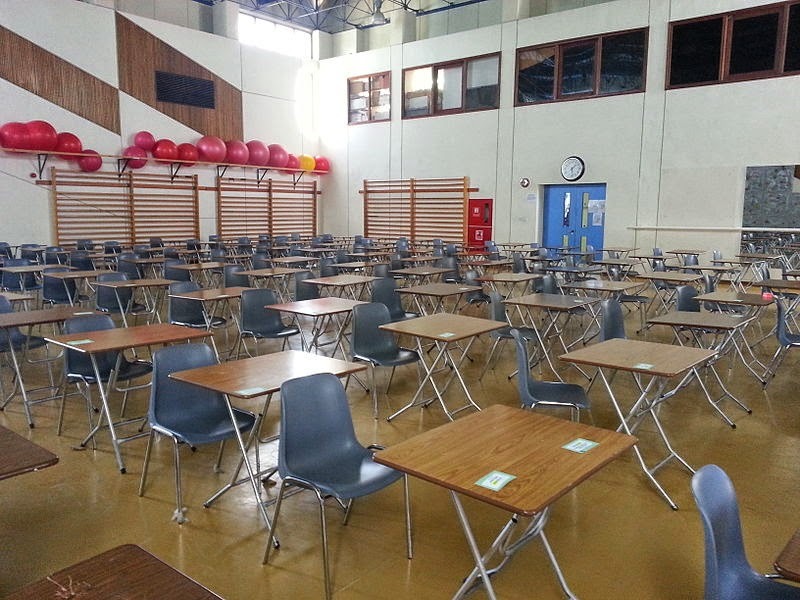 For the third successive year overall A* and A grades have fallen slightly (this year down from 26.3% to 26%), but exam officials are saying A-level results are broadly "stable". For school leavers planning to go to university, there are suggestions this could be an unusually good year to apply. There are a record number of university places on offer this year - over 500,000 for the first time, which is a rise of over 30,000. Students may still get places even if they have missed their grades. The Ucas admissions service says initial figures show a 2% increase in students getting their first choice place. Education Secretary Nicky Morgan says the government is "lifting the cap on aspiration". Universities Minister Greg Clark says the increase in the number of places is an "important source of social mobility". There is a trend for more students to take so-called "facilitating subjects" at A-level, such as maths and physics, which can help university applications. Maths is now the most popular subject, overtaking English this year for the first time. It is the first set of results following the Government's scrapping of January A-Level sittings. However, the fewer opportunities to take modules does not seem to have affected students' overall performance too badly. Regarding other proposed changes, Labour's shadow education secretary Tristram Hunt said he would reverse the government's plan to remove the link between AS and A-levels. This de-coupling of the two exams would limit young people's "opportunity to realise their full potential", said Mr Hunt. Would you like to share your results story with us? Comment on this article, or email info@mathsbank.co.uk.